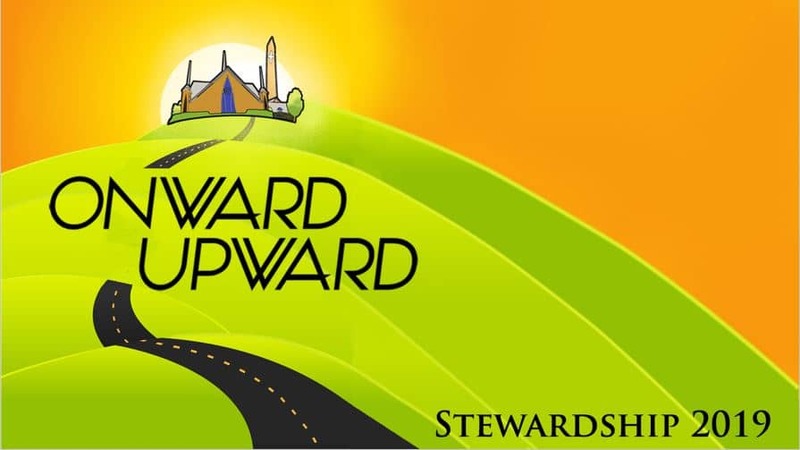 Our 2019 Stewardship Emphasis this year is Onward and Upward, adapted from Philippians 3:13-14, in which Paul says, “I myself don’t think I’ve reached [the prize of God’s call], but I do this one thing: I forget about the things behind me and reach out for the things ahead of me. However, we at TPC don’t want to forget the past. Instead, with gratitude for the things that are past, we press forward to the goal of God’s call. In our three-week sermon series, Pastor Patrick, Pastor Mally, and Dr. Phyllis Tippit will discuss the steps it takes to move Onward and Upward: Choosing Your Destination, Charting the Course, and Stepping Forward to What Lies Ahead. We hope you will join us each Sunday as we think about our lives and the life of TPC in the coming year. Rick and Ellen Zinsmeister talk about their experience at TPC. Mitchell and Valerie Curry discuss what they appreciate at TPC. Lisa Anderson talks about what giving means to her.